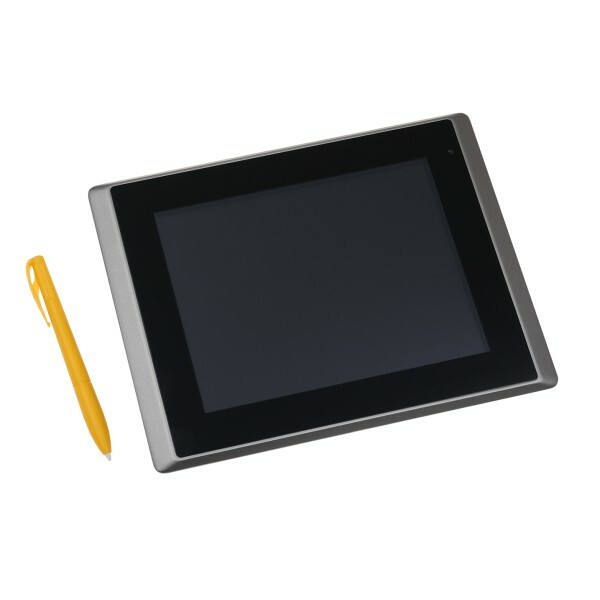 Home>Process Stations>Process station, touch screen 8"
IPCT.1 Process station, touch screen 8"
A PC-based HMI and control unit PC to be used with the domat I/O modules, plastic front panel, 8” (20cm) touch screen 800 x 600 pixels. Two or three serial ports, 2x USB, Ethernet. Fanless construction. The IPCT.1 is the most comfortable way to supervise and control the domat I/O modules plant. Configurable serial ports make interfacing the plant fast and easy while the Ethernet port enables taking advantage of progressive network functionality. Thanks to the USB ports, standard peripherials can be used. The application can be controlled via a touch panel while standard keyboard and mouse may be connected as well over USB. Robust fanless construction with passive processor cooling provide reliable, noiseless operation so that IPCT.1 can be installed in residential buildings. The unit can be mounted in an aperture so that only the frame and LCD touchscreen are visible. Metal clamps are included in the delivery. Ensure that sufficient air circulation is provided. For proper galvanic separation of the I/O bus, use domat M012 converter.